So, remember way back when devices like HTC and Samsung would make their flagship lines and have it all skinned up, but they then had the rare (and only available in the USA) option of a "Google Play Edition". It was a while ago, so I don't fault you if you had forgotten. Get all the guts of the flagship, but the software experience of a Nexus. Neat. Well, LG went a little sideways with that with their G7 and the "One edition". You have most of the same guts as the G7 ThinQ, but you make some sacrifices. The upside is that you get the pure Android experience. Upshot to that is that it's easier for LG to apply any Android updates. So, with that, the G7 One gets the Android Pie (Android 9.0) update before the actual flagship G7 ThinQ does. TORONTO, November 27, 2018 — Launched as the first Android One smartphone from LG Electronics (LG) in October, the LG G7 One has now received the Android 9 Pie update – another first for the brand – in addition to its regular Novembersecurity update. Devices released under the Android One brand will be ready to meet all new features available on latest Android platforms and kept fresh and secure during its lifetime. LG is proud to present the update to its LG G7 One users as one of the first devices to receive Android 9 Pie in Canada. The Android 9 Pie update enhances the artificial intelligence experience offered on the LG G7 One, now capable of learning from and adapting to users’ habits through new functions such as Adaptive Battery and Adaptive Brightness. 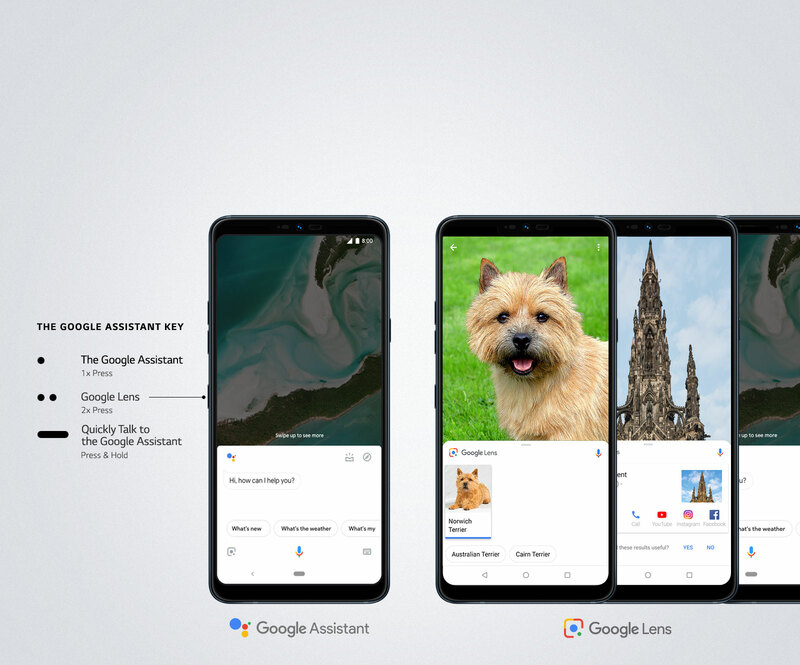 Originally launched with the advanced LG G7ThinQ, the LG G7 One will now feature the AI Cam to recommend optimal settings for each shot – sourcing from 1,162 image identifiers, categorized into eight scenes. Intuitive Navigation will also allow LG G7 One users to switch between apps more naturally by using gestures instead of buttons. Check with your local carrier or retailer for Android 9 Pie availability dates. Please visit www.LG.ca/G7One to stay updated with device details and www.android.com/versions/pie-9-0/ to learn more about the Android 9 Pie innovations.